Why is buying insurance so frustrating? Not to mention confusing, stressful, and it always seems like it is policy among insurers to sell you on stuff that you don’t particularly need. 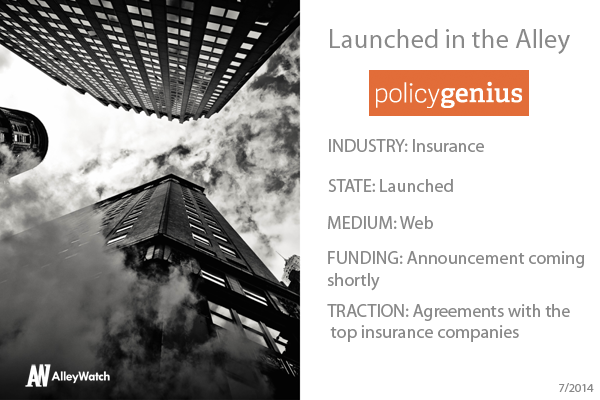 Enter Policy Genius, a one-stop shop for the insurance you need – life insurance, pet insurance, renters insurance – with more coming soon. They make it simple, informative – insurance agent-free – and spell out the to-do’s and just-don’ts you need. Give them five minutes, and you’ll give you instant, unbiased advice. Spam free. Co-founders Jen Fitzgerald and Francois de Lame are here to tell us more about the service. PolicyGenius is an online insurance platform that helps people get the coverage they need with an easy and engaging shopping experience. We offer multiple lines of insurance – starting with pet insurance, renters insurance and life insurance. We’re the first player in the US to bring these lines under one digital “roof,” with real-time quoting. 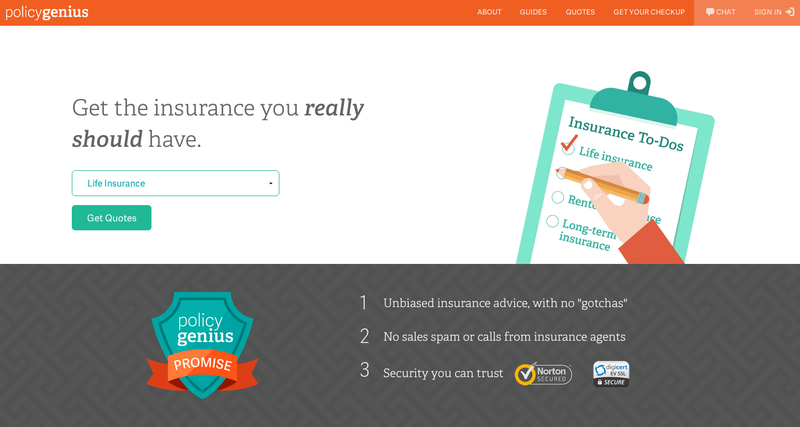 The cornerstone of the PolicyGenius experience is the “Insurance Checkup.” With this tool, a user can uncover what types of insurance they need and why, in as little as five minutes. It’s insurance advice, without the insurance agent. What sets us apart from other sites is that we really understand how people make decisions about insurance. We’ve built our experience around those insights, rather than a desire to simply “Kayak” it. We’ve found that consumers want: 1) unbiased advice at the start, 2) clear decision support when comparing policies, and 3) to not be confused or bored to death. We deliver on those three things be­tter than any other insurance site. We promise an unbiased experience, with no “gotchas.” That means we tell people what insurance they don’t need and won’t sell products that aren’t the right fit for people, even when it affects our top line. We’re taking on the massive US consumer insurance market, which writes over $1 trillion in premiums each year. To start, we’re attacking the insurance market segments most in need of a digital “facelift:”life, renters and pet, with long-term disability insurance coming soon. We’re an independent insurance broker, so PolicyGenius gets paid a commission by insurance companies for each sale. Insurance commissions are already baked into the price of an insurance policy, so customers don’t pay any extra for using our service (or any broker’s service for that matter). Over the next six months, we want to generate significant brand awareness among Gen X & Y financial consumers. We’d love to be well on our way to being the go-to destination for friendly and insightful insurance shopping. We’d welcome a conversation with any investor who recognizes the tremendous opportunity in consumer insurance, and who knows the ins and outs of insurance brokerage pretty well. New York is the global hub for the insurance industry. Every day, I look out of my office window and see the Manhattan skyline dotted by landmark buildings with the names of insurance companies – like the MetLife building and the New York Life building. Where else would we be? What’s the biggest mistake newly-minted entrepreneurs make when shopping for health insurance for their companies? Over-spending on health insurance and under-spending on other important insurance benefits, like long-term disability. Most startups have young and healthy employees, who don’t need a gold-plated health insurance plan. But they certainly need long-term disability insurance! When you’re raising a glass to someone’s health, personally, what are you drinking? An ice-cold michelada, which is beer with lime and hot sauce. It’s refreshing and has a kick.